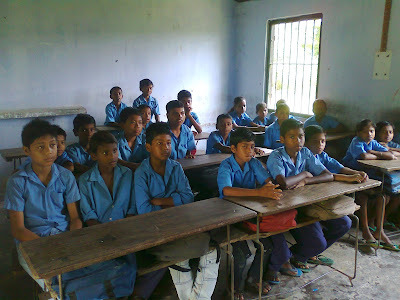 This story was sent by Suddhabrata Deb Roy. First of all, I would like to thank Mr.Jintu Sharma and Mr.Pranab Bhattacharjee for extending their helping hands in organizing the event.Mr. 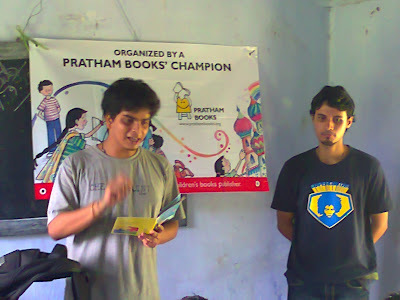 Jintu Sharma and Mr.Pranab Bhattacharjee or Jintuda and Pranabda,as I address them, helped me immensely in setting up the place for the event and it was really a blessing to me that they were present beside me all throughout the event, always ready to extend their helping hand towards me if ever I needed it. 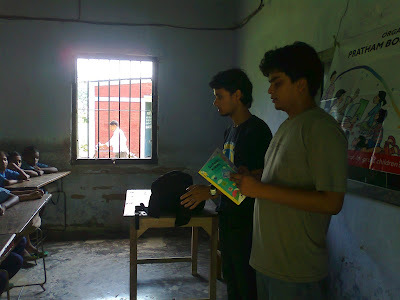 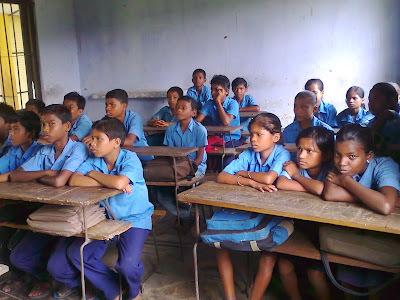 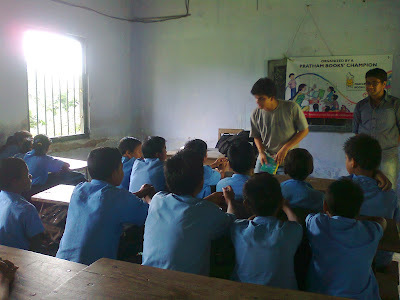 It was roughly around 9am when the students started coming inside the class, it was really a joy to see in them the zeal to hear the story and their twinkling eyes which exhibited their enthusiasm. 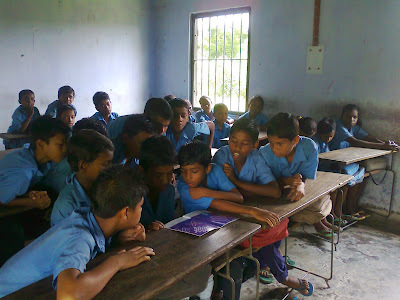 When I began telling the story to them, the children were like as if they were listening to some serious lessons in their syllabus, so it was a necessity to tell them to relax a bit. 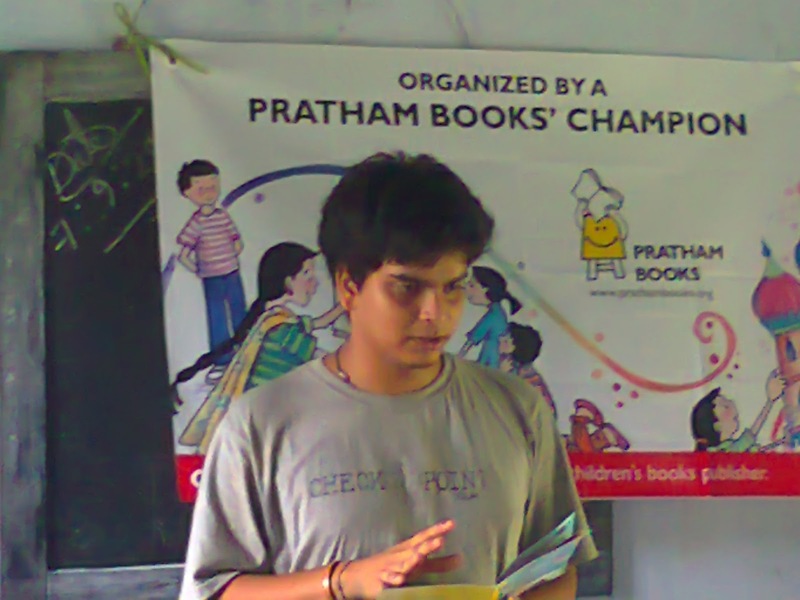 Jintuda also put in some of his inputs while I was telling them the story and those inputs surely helped in increasing the children’s interest in the story. All the while Pranabda was busy compiling the set of pictures that you are viewing along with this write up. I thoroughly enjoyed my session; it sort of gave me a spiritual relief when I saw those children leaving the class with a smile after hearing the story. 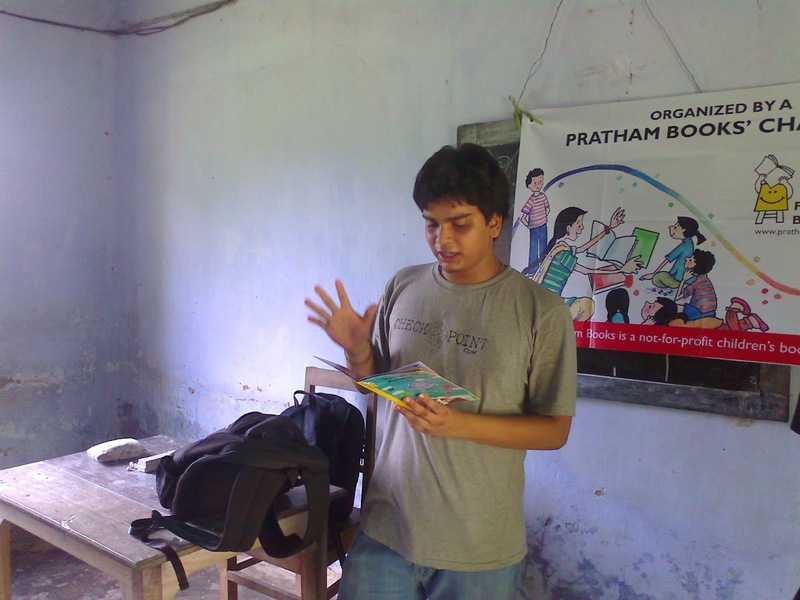 I distributed the books sent along with the read book among the students randomly suggesting them that they should share it with each other. 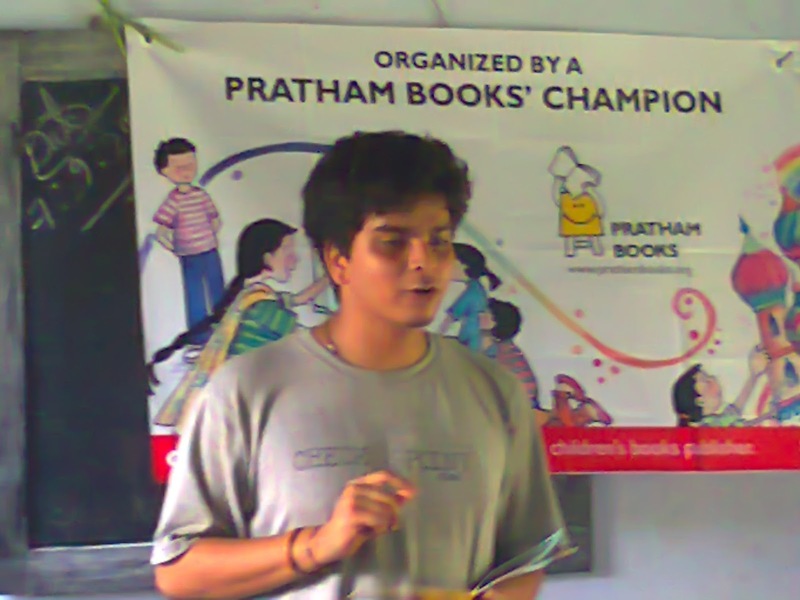 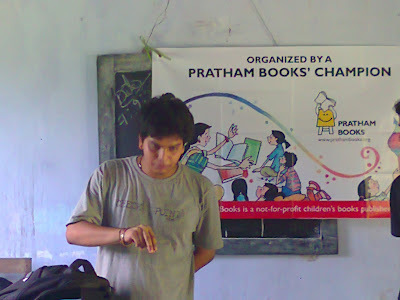 And once again thanks to Jintuda and Pranabda, as and the biggest thanks goes to PRATHAM BOOKS for giving me the opportunity to be a part of such an inspirational program …. 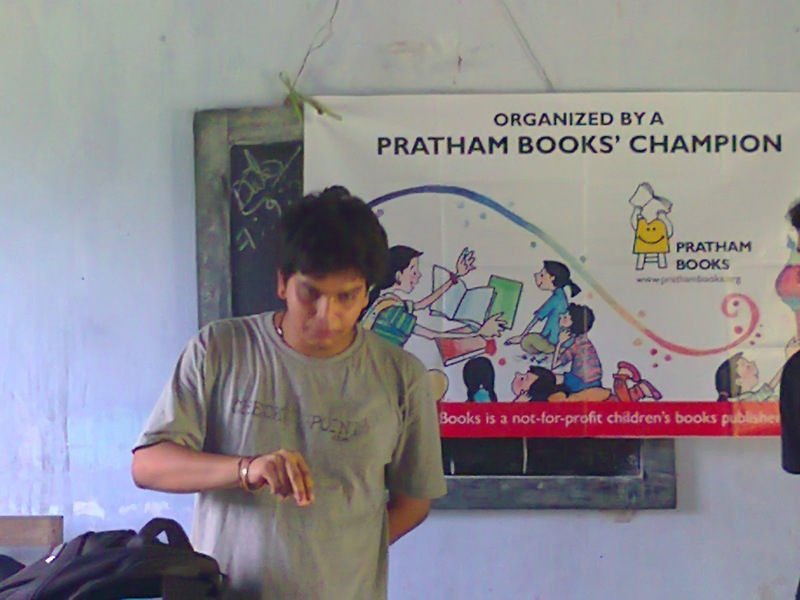 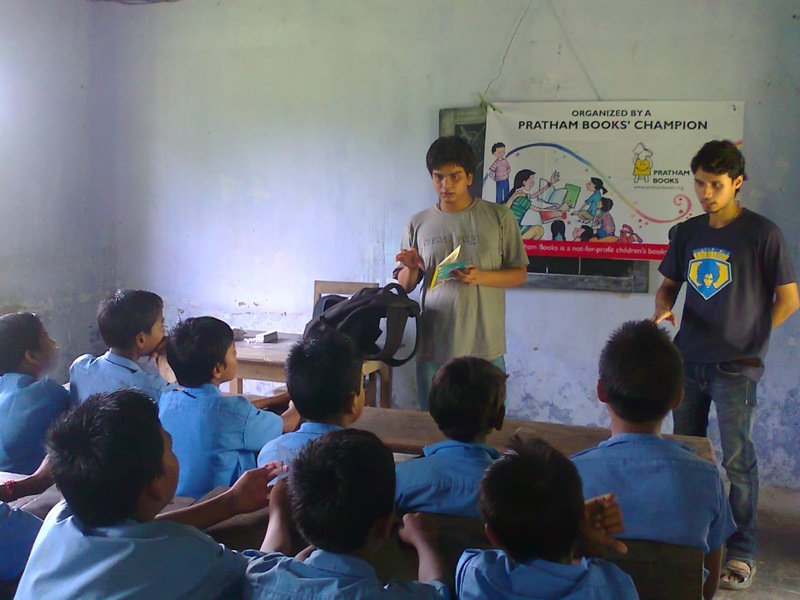 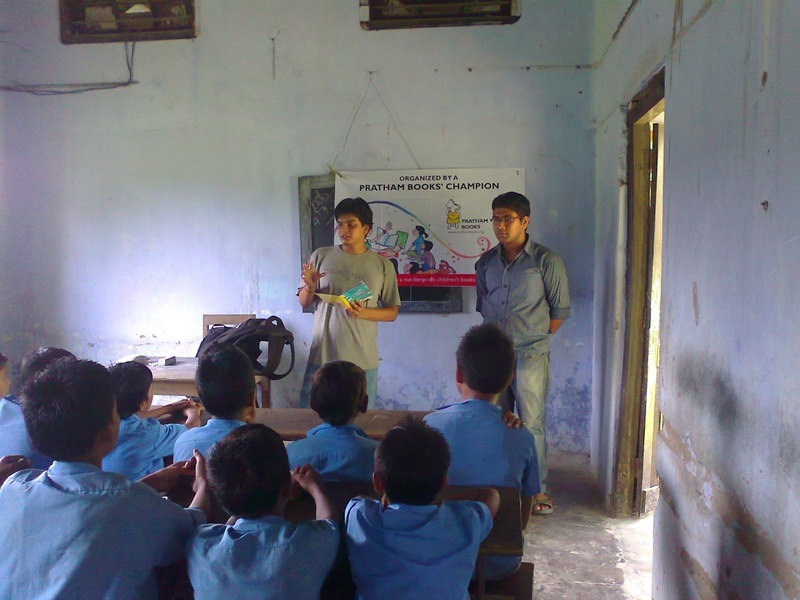 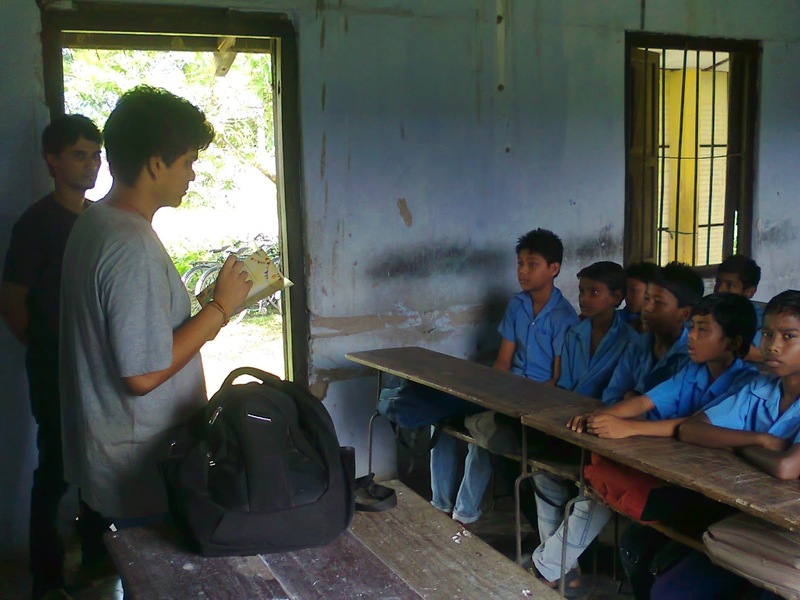 Thank you Suddhabrata for spreading the joy of reading!